Just in time for World Environment Day, Canadian scientists have announced the discovery of a new type of rock made from the scraps of melted plastic waste and ocean debris. According to researchers at the University of Western Ontario, this new material, known as plastiglomerate, is formed when melted plastic waste on beaches mixes with sediment, lava fragments and organic debris. These virtually indestructible plastiglomerates may become part of the Earth’s geologic record forever and could one day act as a sad geological marker for humanity’s impact on the planet. According to LiveScience, this new material has so far only been discovered in one place on Earth: Hawaii’s Kamilo Beach – known as one of the dirtiest shorelines in the world. The new rock exists in two forms: in situ types are that are embedded in larger rock formations and clastic kinds that are loose rocks. In situ types are more rare and are formed when plastic is melted and incorporated into a larger rock formation, whereas clastic plastiglomerates are loose, rocky structures made up of shells, coral, basalt, woody debris and sand glued together with melted plastic. A lab analysis of clastic plastiglomerates from Kamilo beach shows that the material is much more dense than plastic on its own, which means that it is much more likely to get buried and preserved in the rock record than normal plastic waste. When oceanographer Captain Charles Moore first discovered plastiglomerates, he thought that molten lava had melted the plastic to create the new rock material. Researchers, however, have pointed out that the lava hasn’t flowed in the area since before plastics were invented, which means human waste is likely to blame for the creation of this toxic new rock. Discovery News reports that the rocks were likely formed accidentally by locals burning plastic debris on the beach. With this in mind, researchers believe plastiglomerates could also be present on other beaches around there world where people camp and live. Man must learn the harmonious language of nature so as to stop acting as a barbarian and a violator of nature's laws otherwise he is going to face nature's wrath! This is just... awful. No words. 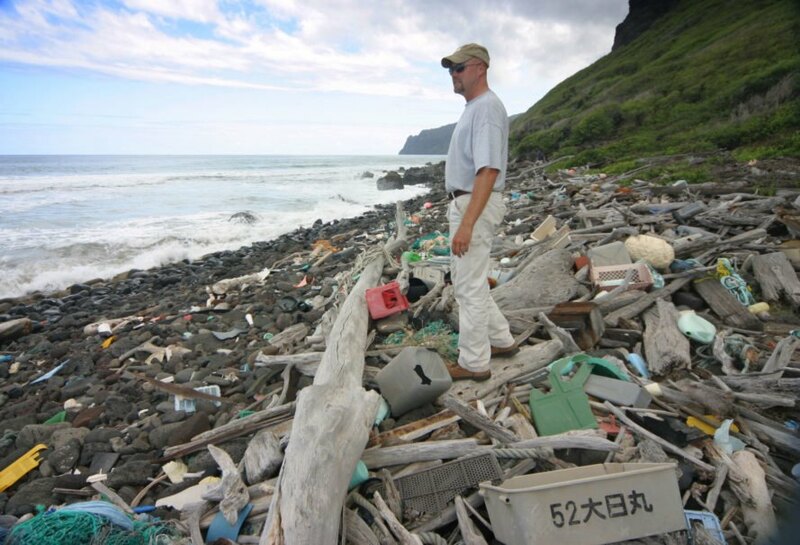 Collecting trash on Hawaii's Niahau Beach. 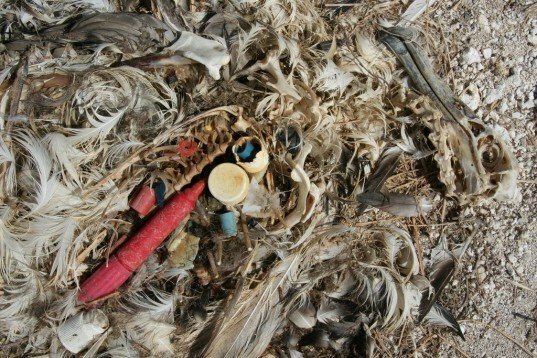 An albatross chick sitting in a pile of ocean garbage washed up on the beach.